In 2012, according to the Urban Institute, there was 1 nonprofit organization for every 175 people In the US. That is so nuts. True, many of those nonprofits—perhaps most—are so small as to be virtually nonexistent. Which makes me wonder why they do. Why some nonprofits exist is a question I often grapple with. I teach an online grants class and every month, so many of the new students introduce themselves by saying they are taking the class so they can start their own nonprofit. Don’t do it, I tell them. 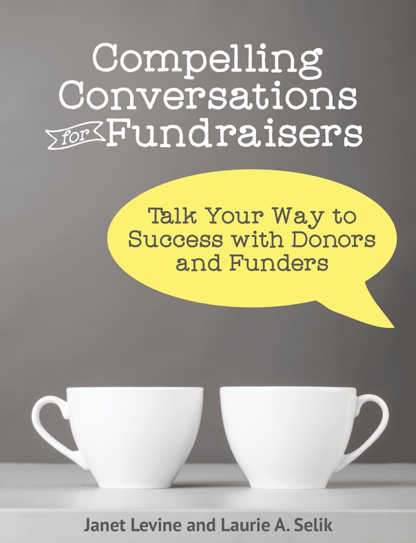 Look to see if there is an existing nonprofit with which you can partner. And the answer is always the same: There isn’t one that is doing what I want to do. I don’t believe that. And in the rare case where it might be true, I have one question: If one does not exist, why not? Of course, the answer is more important than who will fund this organization. It goes to the core of why your organization exists—if you are only going to serve 20 people is your nonprofit viable? To those 20 people, perhaps. But perhaps they could get better service elsewhere. All of which goes to the point of getting ego out of nonprofits. In the for profit world, if you think you can build a better mousetrap, you start a business. You look for funding (or you self-fund) and at some point, you either make it or you close your doors. The not-for-profit sector should work in the same way. But in reality, what too often happens is that little nonprofits (those who have less than 175 clients and funders combined!) bump along, doing a little good and more bad than they know. The bad? Functioning without the resources to do what their mission calls for them to do. Paying salaries for those they do hire that are so below market it is unconscionable, and either cutting those jobs or those salaries when the going gets rough. And the going almost always does get rough. The founders/leaders are so busy trying to stay afloat that they cannot plan or be creative. They cannot do a good job at the very thing that fires them up. Before you start a nonprofit, consider other, more effective ways to serve those you wish to serve. And if you are one of the 2.5 million nonprofits operating in the US today, take a good hard look at what you do. Are you really making the world better for others? Janet Levine works with nonprofits taking them from mired to inspired. Learn more at www.janetlevineconsulting.com Sign up for the free newsletter and do schedule a free 30-minute consultation. This entry was posted in nonprofits and tagged starting a nonprofit. Bookmark the permalink.